Home / About the company / What is Family office? Until recently, family office services in Spain were provided only by banks. Today the situation has changed and now there are private companies that offer family office services. They help wealthy families manage their assets, including their inherited wealth. 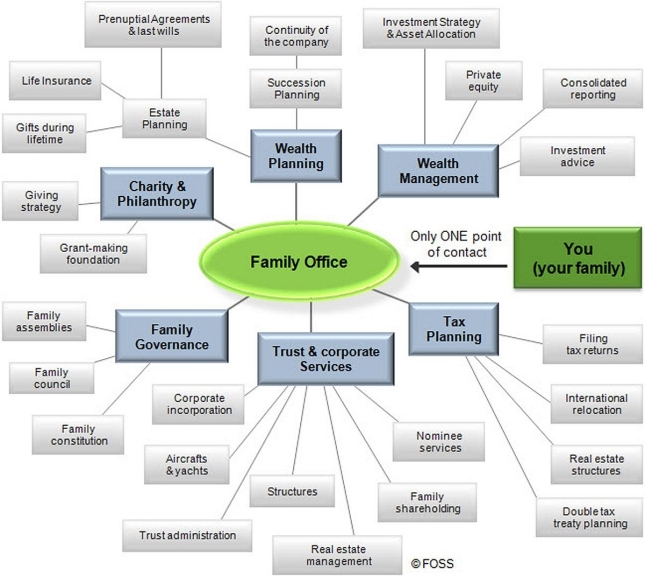 So what is a family office? A family office is a private company that manages property, investments and trusts of a family. In other words, wealthy families use family office services to manage their assets more effectively and grow them.Although, an early prototype of this service was already known in the 15th century, when a house steward managed the domestic affairs, a modern family office formed only in the 19th century. The first millionaires in the United States became a starting point for these companies. When you have millions and billions, then you need a specialist who will help you manage your wealth and other family affairs, preserving your capital as well as growing it. The first company similar to modern family offices was founded by the Morgan family and in 1882 a similar company was founded by John D. Rockefeller. These two companies can be considered now as examples of the so-called ‘Single family office’, i.e. a company working only with one family. Today the most common type of family offices is multi-family offices, companies offering various financial services for relatively wealthy families. And even the Rockefeller successor Rockefeller & Co has over 200 customers, managing their billions of dollars. Switzerland is considered to be the centre of family offices in Modern Europe. In this country you will find over 400 companies, working mainly with foreign customers. Such companies may provide their services for one family or for several (usually no more than 10) with the average families’ net worth of 10-15 million dollars. Services offered by these companies usually include managing personal assets, property management (real estate, yacht and etc), personal affairs (travel and family celebrations arrangements). Apart from legal, tax and financial advisory services concerning assets management, family offices provide inheritance planning services, help select banking and insurance services, avoid investment risks and many other services connected with family wealth. Some of the companies offer lifestyle management services, which may include family governance, financial and investment education, medical arrangements and other personal affairs. All these services are designed to grow your wealth and professionally manage your assets. But the main goal is to handle all your affairs and translate your requests into actions as we believe that your affluence is to enrich your life, but not complicate it.